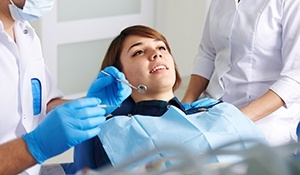 While most other offices will simply refer you to an unfamiliar outside specialist if you need any kind of oral surgery, at Boyles General Dentistry & Implant Center, we can provide everything you need under one roof. With us, you’ll always be able to work with the doctor and staff that you trust. Our team has years of experience performing all kinds of surgical procedures, so we can ensure you’ll not only have a successful treatment, but a smooth and easy recovery as well. 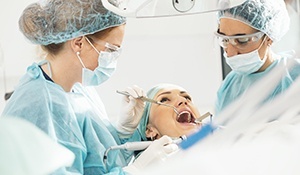 Before a patient is able to get dental implants, they must have an adequate amount of healthy jawbone in order to safely support the prosthetic tooth roots. 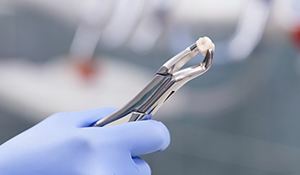 In the past, this requirement made dental implants unavailable to many patients with thin or brittle jawbones, but thanks to bone grafting, now even more people can benefit from the most complete tooth replacement solution available today. For this, your doctor will build up and strengthen your jawbone using either your own tissue, donated tissue, or a lab-made bone grafting material so that your jaw is strong enough to hold implants.